The fragile US recovery from recession was weaker than estimated in the first quarter, official data showed, suggesting tougher challenges from the European debt crisis. The Commerce Department said gross domestic product in the first quarter increased at a 3.0 percent annual pace from the fourth quarter of 2009, lowering its original estimate of 3.2 percent. The downward revision for the world's largest economy surprised most analysts, who predicted GDP -- a broad measure of the country's goods and services output -- expanded 3.3 percent. "It will be hard to grow rapidly when the economy has to overcome limited credit availability, a modest recovery in housing, high unemployment rates and, as a consequence, depressed consumer confidence... and uncertainty in Europe." 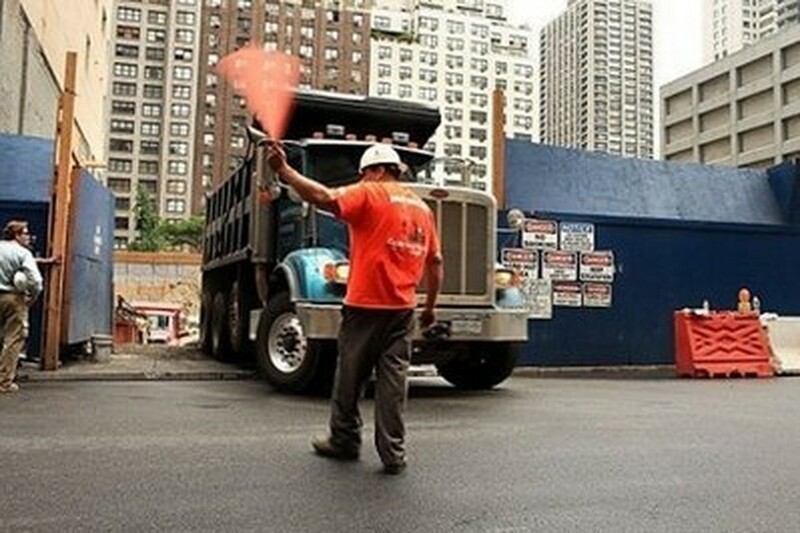 A truck pulls out of a construction site in New York City where work has stopped because of the recession and the slowdown in the real estate market. 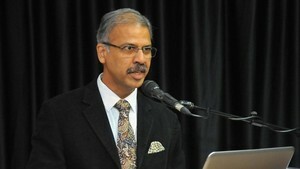 Several analysts said recent economic data pointed to stronger growth in the current second quarter. Nigel Gault, chief US economist at IHS Global Insight, predicted growth of about 4.0 percent in the April-June period because of a surge in manufacturing output and a rise in home building spurred by an expiring homebuyers' tax credit. "But that pace cannot be maintained, especially given the renewed turmoil in the financial markets triggered by the eurozone's sovereign debt crisis, and we expect growth to fall back into the 2.5-3.0 percent region in the second half of the year," Gault said. The Commerce Department said it had shaved 0.2 percentage points from its first estimate on April 30 largely because of higher imports and lower consumer spending. It was the third consecutive quarter of expansion since mid-2009, when the US economy ended a full year of contraction in a recovery driven by unprecedented government and Federal Reserve support measures. GDP had increased at a robust 5.6 percent rate in the 2009 fourth quarter, after a 2.2 percent rise in the prior quarter. The weaker first-quarter GDP estimate Thursday was "worrisome," said Augustine Faucher at Moody's Economy.com. "With the unemployment rate at 9.9 percent in April, it will take sustained growth in real GDP well in excess of 3.0 percent to make a significant improvement in the labor market, and it looks like that is still a few quarters away," Faucher said. The US economy has lost more than eight million jobs since December 2007, when it entered the worst recession since the 1930s. Job insecurity has weighed on consumer spending, which usually accounts for two thirds of economic output, and the latest weekly unemployment data showed a slowing decline in unemployment. New claims for jobless insurance benefits fell by 14,000 to 460,000 in the week ending May 22, the Labor Department said Thursday, worse than the 455,000 consensus analyst forecast. Ian Shepherdson at High Frequency Economics said the jobless claims data "reinforce our view that growth will slow in the second quarter and beyond," noting that the first-quarter GDP downward revision came "thanks to slightly softer domestic final demand." Peter Newland at Barclays Capital, however, was upbeat. Disposable income in the January-March period was revised higher and corporate profits showed a 5.5 percent monthly rise from the prior quarter, "the fifth consecutive quarter of robust growth," he said. "More timely indicators suggest that momentum is building into the second quarter, supported by healthy wage and profit growth."